Park Forest, IL-(ENEWSPF)- A Park Forest teenager who was wanted in connection with a shooting in Will County was arrested in May in a routine traffic stop at the intersection of Westwood Drive and Wildwood Drive. He has been charged with attempted first degree murder and aggravated battery with a firearm. He is being held on $3 million bond in Will County. 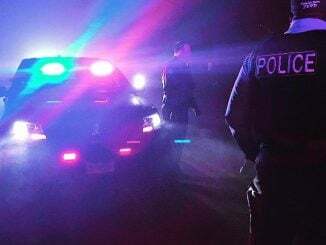 An officer on patrol in the area of Orchard Drive and North Street on May 23 at approximately 6:02 PM observed a vehicle driving eastbound on North Street that did not have a front license plate, according to police. The officer got behind the vehicle, activated his emergency lights, and initiated a traffic stop near the intersection of Westwood Drive and Wildwood Drive. The driver was a juvenile who did not have insurance on the vehicle, according to police. The juvenile told the officer that he had just purchased the vehicle. The officer pointed out to the driver that the license plate did not match the vehicle. The juvenile related that license plate belong to another vehicle he owned. The officer conducted a Vehicle Identification Number inquiry and discovered that the vehicle belonged to a woman from Valparaiso, Indiana. The officer asked the front seat passenger if he had any identification on him and he advised that he didn’t. The officer asked for the passenger’s name and date of birth. The passenger provided the name “Donavan Allen” which came back from a law enforcement inquiry as clear, no record. The officer asked the passenger if he had a driver’s license or state identification card. The passenger repeated the same name. The officer asked the passenger his address, and he advised that it was 222 Miami Street, Park Forest. The officer then recalled that there was a subject named Nikolaus D. Vaughn who resided at 222 Miami Street and that Mr. Vaughn was wanted in connection with an attempted murder in Will County, according to the report from Park Forest Police. The officer viewed a picture sent out in an officer safety alert and determined that the person who had told him his name was “Donavan Allen” was Nikolaus D. Vaughn. The officer informed Mr. Vaughn that he had one last opportunity to provide his real name, otherwise he would go to the Park Forest Police Department where a fingerprint inquiry would be conducted. Mr. Vaughn then told the officer that his name was “Nick Vaughn,” according to police. The officer confirmed that Mr. Vaughn had an active warrant out of Will County on a charge of attempted first degree murder. Nikolaus D. Vaughn, 18, 222 Miami St., Park Forest, was arrested and processed on the Will County arrest warrant and also issued a misdemeanor charge from Park Forest of obstructing identification. Mr. Vaughn was assigned a court date of August 7, 2018 at the Markham Courthouse in reference to the obstructing identification charge. Mr. Vaughn was then transported to the Will County Adult Detention Facility, according to Park Forest Police. According information eNews Park Forest received from the Will County Sheriff’s Office, Sheriff’s deputies responded to the 3000 block of Hamilton Road, Monee Township, on April 3, 2018, at 2:33 PM, regarding a male subject found shot near the roadway. The victim, an 18-year-old male, had been shot three times, was conscious, but had trouble breathing at the scene. Monee Fire emergency personnel transported the victim to Olympia Fields, St. James, but he was later transferred to Christ Hospital Trauma Center. Over the course of the investigation, Sheriff’s detectives found that the victim had been picked up at a relative’s home in Sauk Village by four individuals: a female driver, two 17-year-old males, and a 15-year-old male, according to Will County Sheriff’s Police. “The victim stated that previous to the individuals picking him up, he had talked to a friend about selling/trading a gun that he had,” according to Will County Sheriff’s Police. Once inside the vehicle he admitted to the other subjects that he did not have a gun, according to Will County Sheriff’s Police. The vehicle then stopped at the above location and the victim was asked by one of the offenders if he had any gas money on him to get home. When the victim stated that he did not, he was told to get out of the car and walk home, according to Will County Sheriff’s Police. As the victim exited the vehicle he began to hear shots being fired at him, according to Will County Sheriff’s Police. One shot struck him in the upper leg. The bullet caused the victim to fall to the ground and the vehicle drove away. As the victim began to move he observed the vehicle make a U-turn and head back towards him. The victim forced himself onto his feet and began running, according to Will County Sheriff’s Police. The 15-year-old male subject and one of the 17-year-old male subjects, Nikolaus Vaughn, of Park Forest, allegedly began firing again at the victim, according to Will County Sheriff’s Police. The victim was then shot in the stomach and the buttocks, according to Will County Sheriff’s Police. On April 10, 2018, a no-bond warrant was obtained for the three male subjects who were inside the vehicle at the time of the incident. All three offenders were eventually brought in for questioning during the investigation and are currently charged with attempted first degree murder, according to Will County Sheriff’s Police. Mr. Vaughn also has a charge of aggravated battery with a firearm, according to Will County Sheriff’s Police. 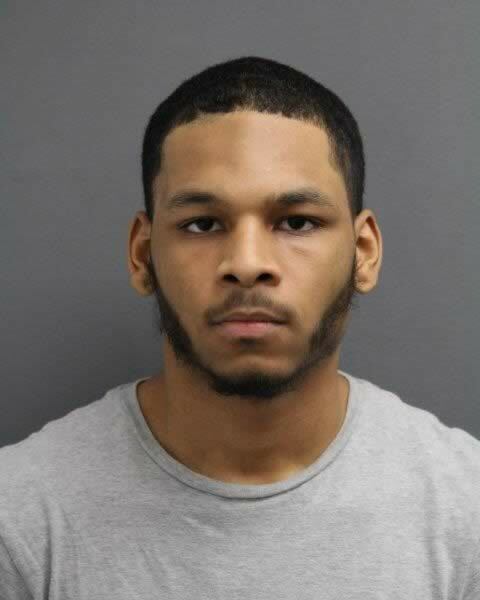 Mr. Vaughn, who is 18 years old now, is being held at the Will County Adult Detention Facility on $3 million bond. He was a juvenile at the time of the alleged incident. However, he will be tried as an adult, according to Will County Sheriff’s Police. The other two alleged juvenile offenders are being held at the River Valley Juvenile Justice Center.